Her response reveals some of the spirited banter she shares with the people in her life. Even upon entering hospice care, she has maintained her same fun-loving character and unbridled sense of humor. Buzzy is the recipient of the Sharing Wishes Fund’s 200th wish. The fund, managed by the Memorial Medical Center Foundation, grants the wishes of hospice patients throughout central Illinois. Despite her playful response, Buzzy’s real wish was nostalgic and sentimental: She wanted to eat her favorite meal—a burger and a chocolate milkshake—every day. The simple wish reminded her of the special bond she and her father shared. The self-described daddy’s girl particularly enjoyed the story-telling sessions that accompanied the classic meal. “My dad and I would sit out in the backyard. We’d talk for hours. He would tell me stories all about when he was little. My dad and I were really close,” Buzzy said. Her father also coined the nickname she carries decades later. The name originated from her energetic nature, buzzing around, which seamlessly translated into the name of a bar she once owned. Reminiscing about her days as the owner of Buzzy’s Bar, she described the establishment as constantly packed with people dancing and enjoying themselves. The Sharing Wishes Fund purchased a gift card for Buzzy to enjoy her favorite meal whenever she wants. 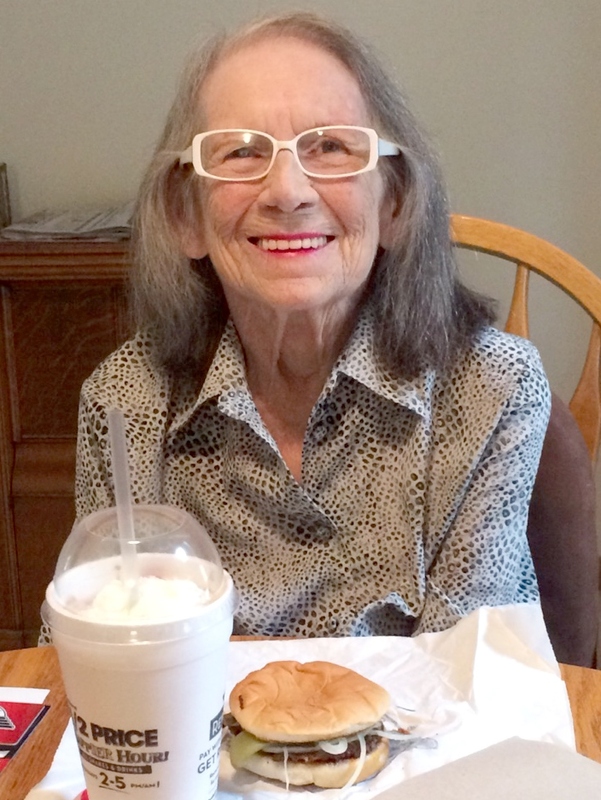 Her burgers are always the same—pickles, onions and mustard—and she finishes the whole chocolate shake. But even better than the meal, is the smile that lights up her face as she recalls memories of her father. For more information about the Sharing Wishes Fund or to help hospice patients like Buzzy fulfill their dreams, visit SharingWishesFund.org.